Mixing together one of two substantial bathes of my base mixture. Laborious work because of the very high viscosity of the materials. Close-up on the surface I'm laying down as my base. I'm using a mixture of flexible modelling paste and super heavy gloss gel. Detail of 'Buried Treasure', acrylic on canvas, 12" x 9", 2014. Click on the image to see an enlarged view on my Flickr page. I love new beginnings. In artworks they begin with an idea (which doesn’t have to be much of an idea, just a starting point) and then, in the case of painting, a base layer. My starting point this time is a little confection of a painting I call “Buried Treasure”. 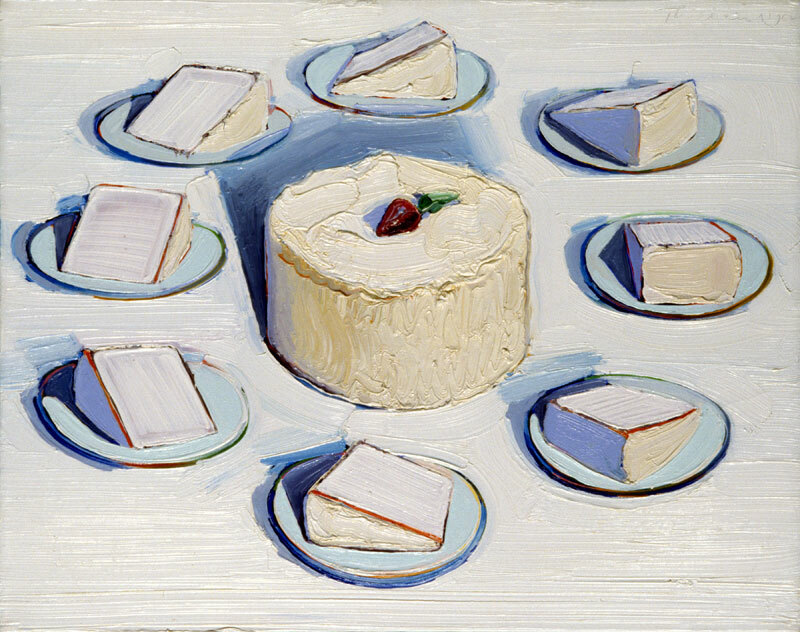 Because of its expanses of rich white surfaces with hits of smaller brights, I think of it as my Wayne Thiebaud moment. Not that I set out to make something along those lines, or to reference my husband Kal Honey’s work either, by working with a grid, it just happens that those qualities are what bubbled up in my process of making. So while the original was an experiment on a small canvas, now I am scaling up. My first layer is all about large, impasto surface marks, which I think will require a few days to dry before I can move onto the next step. Check back for updates.